We were off to a delicious start with the Bouzy Matcha Latte. The bold matcha flavour was front and centre, nicely accompanied by a hint of gin. With sweetness thanks to the honey and soy milk, this was a seriously delicious, naughty matcha latte. We then dug into the gorgeous Housemade Baked Roti. Sitting high on top of the fish was an amazing panko crumbed 63degree egg with just the perfect runny yolk. 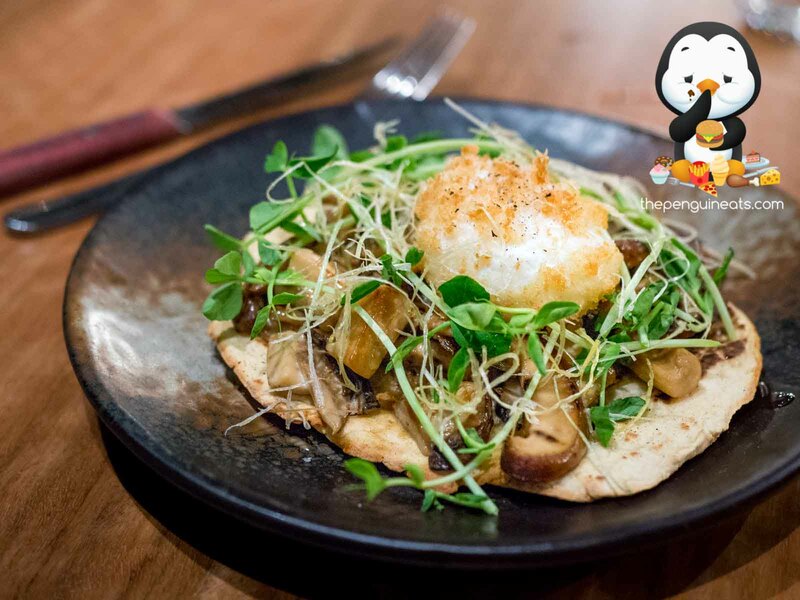 Underneath sat a bed of sautéed shiitake, enoki and King oyster mushrooms that created a juicy and exceptionally fragrant experience the signature mushroom juices were absorbed by the crisp yet slightly chewy roti. A very scrumptious dish indeed. We moved onto mains with the gigantic Pork Hock. 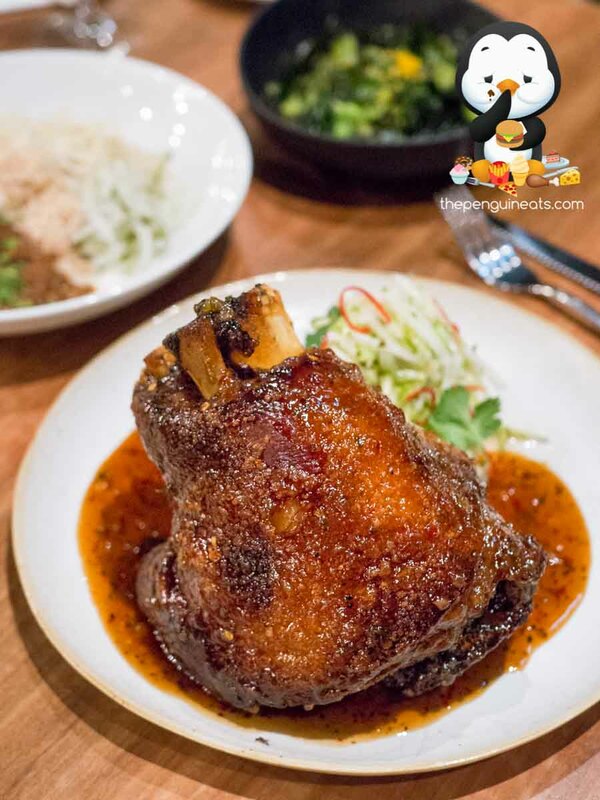 With just the most amazing crackle and glazed with a very fragrant tamarind caramel sauce, the hock was certainly a sight to behold. 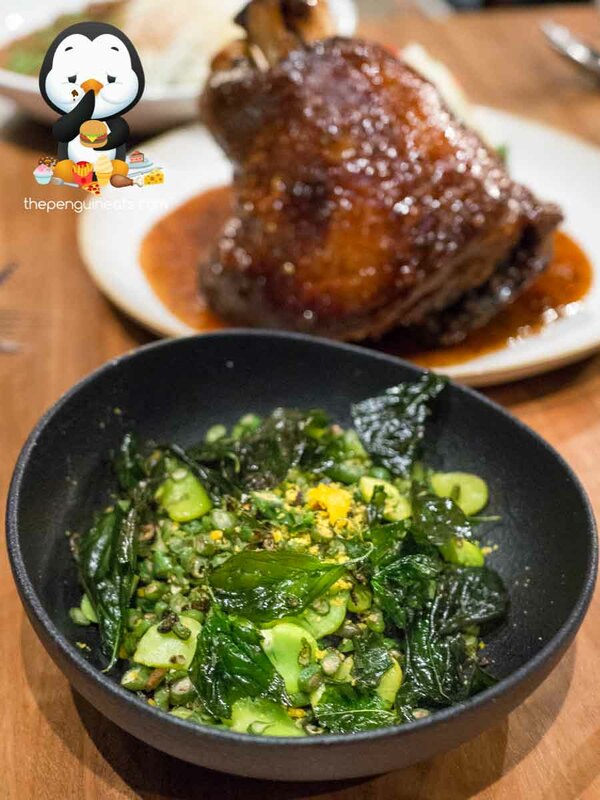 The outer skin of the hock was roasted to a perfect crisp and created a satisfying crunch with each bite. 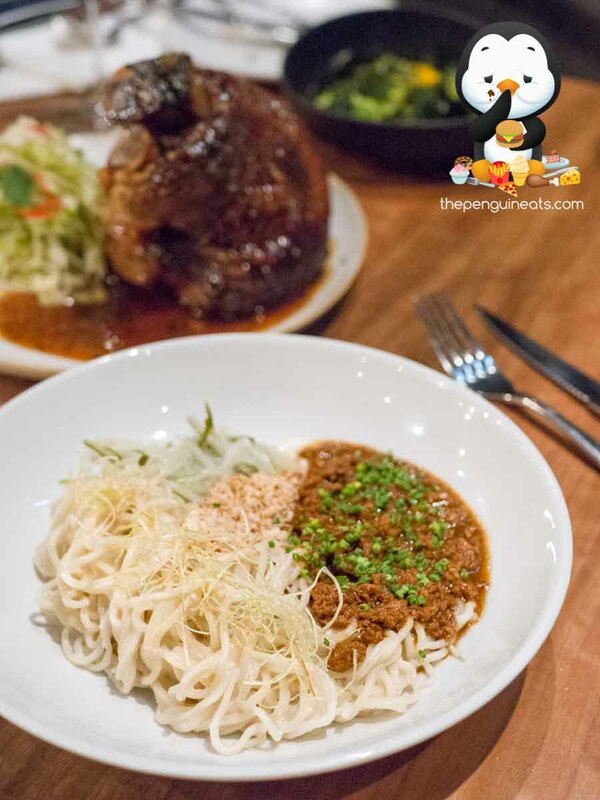 Within, the juicy and tender pork was perfectly cooked, nicely accompanied by the sweet and sticky tamarind sauce that rounded out the savoury sensations. With a refreshing apple and lettuce slaw cutting through the fattier bits, this dish most certainly satisfied in more ways than one. The Ma Jiang Mian didn’t disappoint either. Served in a deconstructed fashion, the slow braised pork mince was exceptionally aromatic and very appetising. 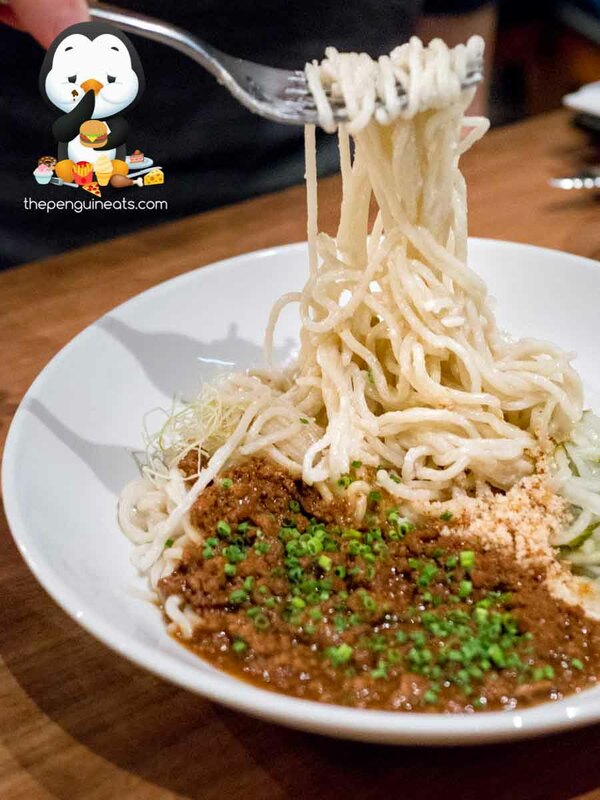 We stirred the sesame oil coated noodles through the pork mince to create the perfect balance in flavours, though the noodles felt a tad too soft for our palate on this occasion. Rounding off the mains was the light yet scrumptious Green Salad. The finely diced snake beans were lightly stir fried with broad beans and pickle chilli to create a refreshing yet appetising sensation. The crisp, fresh beans were topped with salted duck egg yolk to further enhance the flavour profile, making for a healthy yet tasty accompaniment to our meaty feast. 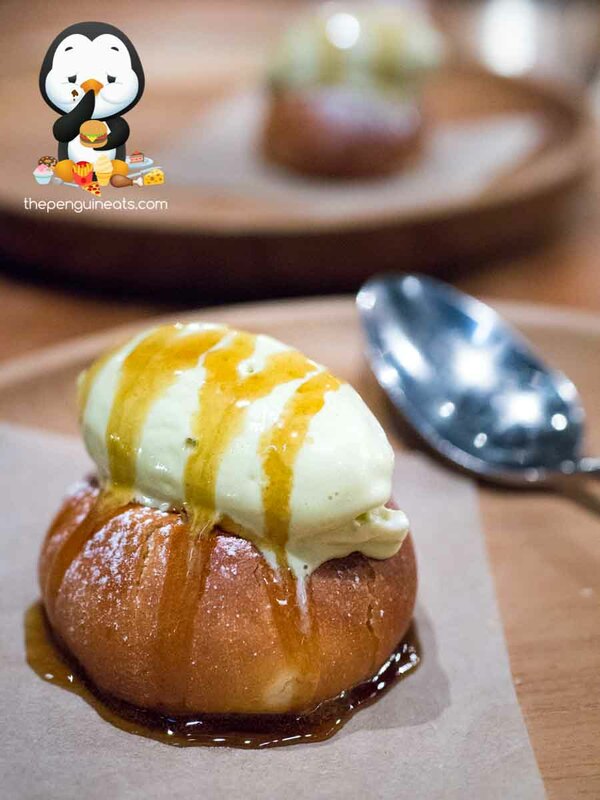 We rounded off the evening on a sweet note with the House Baked Coconut Bun with Kaya Ice Cream. The slowly melting kaya ice cream added an amazing creamy sweetness to a light and crisp pastry. Within the pastry was a beautifully fragrant coconut cream filling, the perfect accompaniment to the kaya flavours. 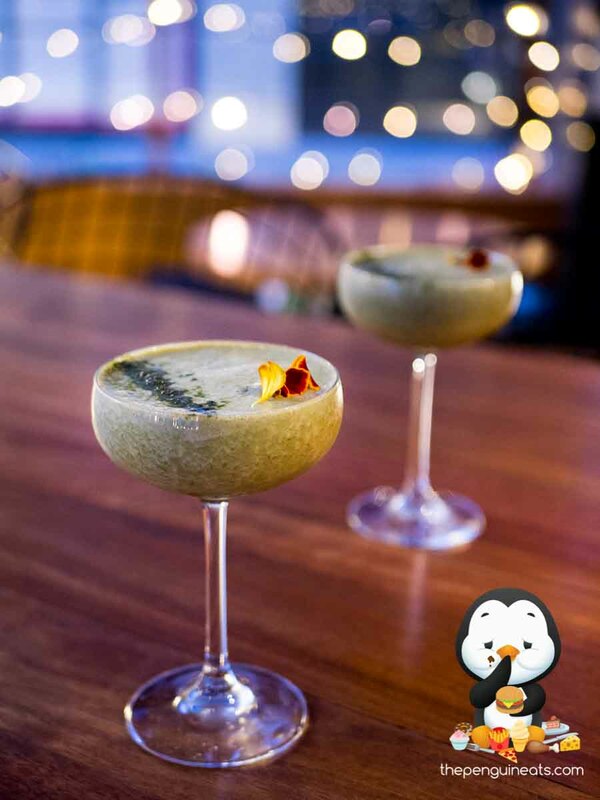 Offering a refined Modern Australian & Asian fusion dining experience, the unique yet perfectly executed dishes at Jamu are bound to satisfy. 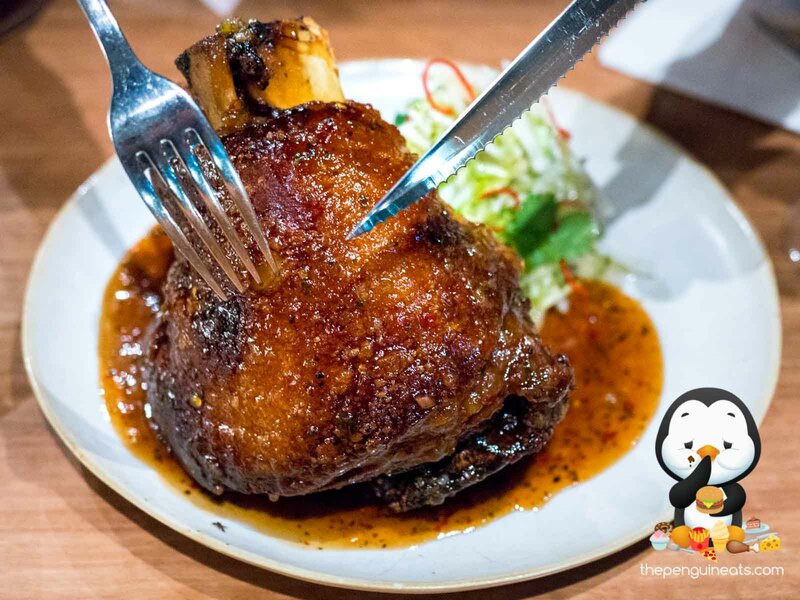 From the gigantic Pork Hock to the small and delicate Coconut Bun, each and every component is carefully designed to compliment each other perfectly, to create the perfect flavour harmony. 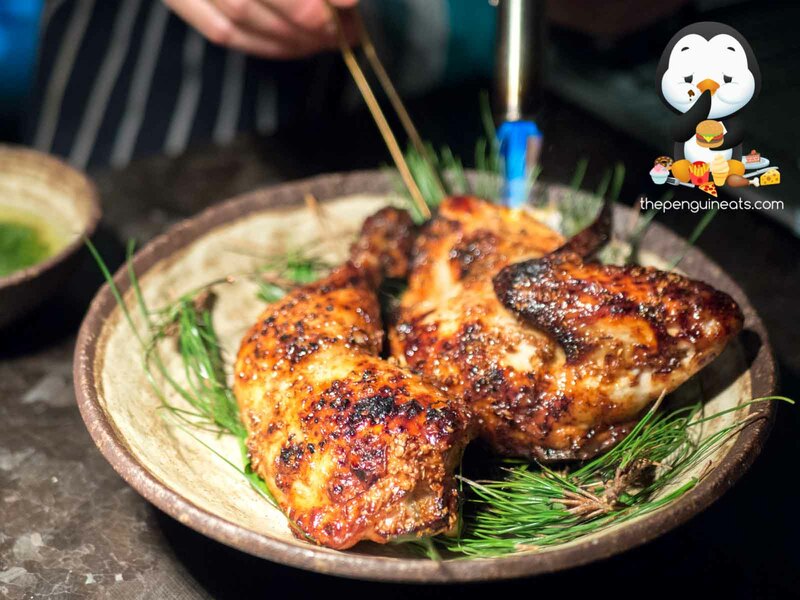 Penguineats would like to thank Jamu for inviting us.